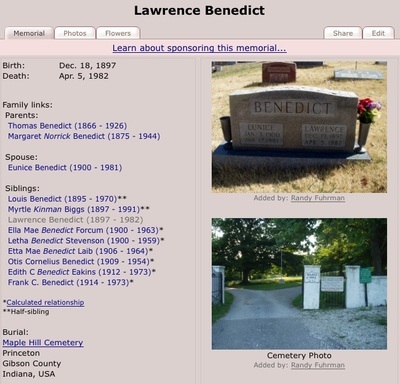 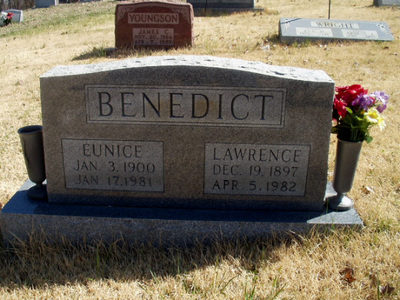 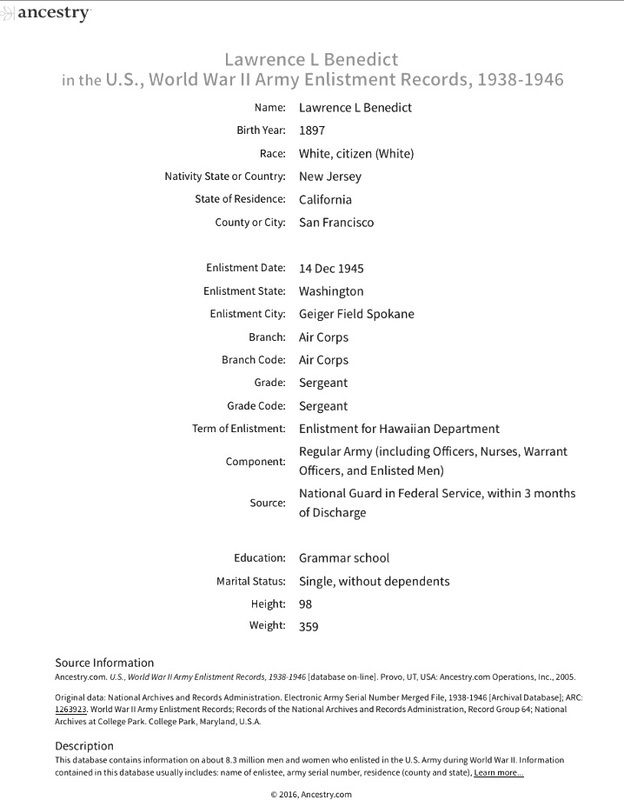 United States Army Sergeant Lawrence L. Benedict was born Dec. 18, 1897 in New Jersey. 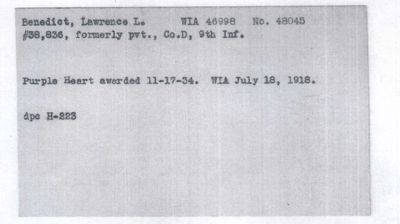 He enlisted in the Army as a Private during World War I & served with Co. D, 9th Infantry. 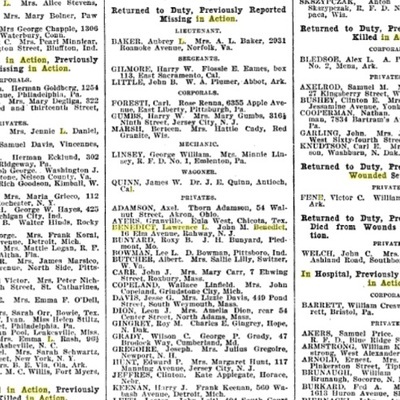 He was wounded in action July 18, 1918 at the Second Battle of Marne, France which marked the turning of the tide in World War I for the Allies. 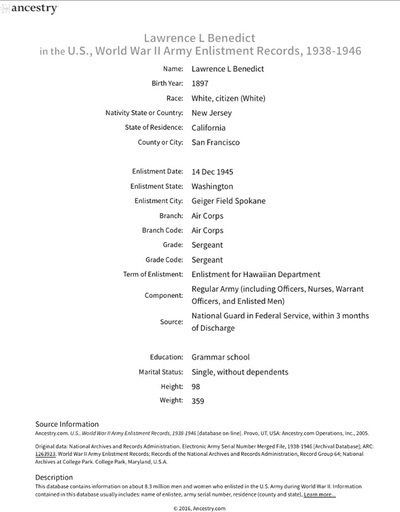 The official U.S. Bulletin: Sat. 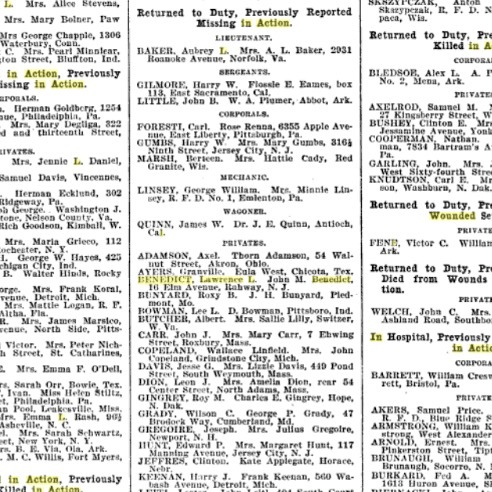 Oct. 19, 1918. 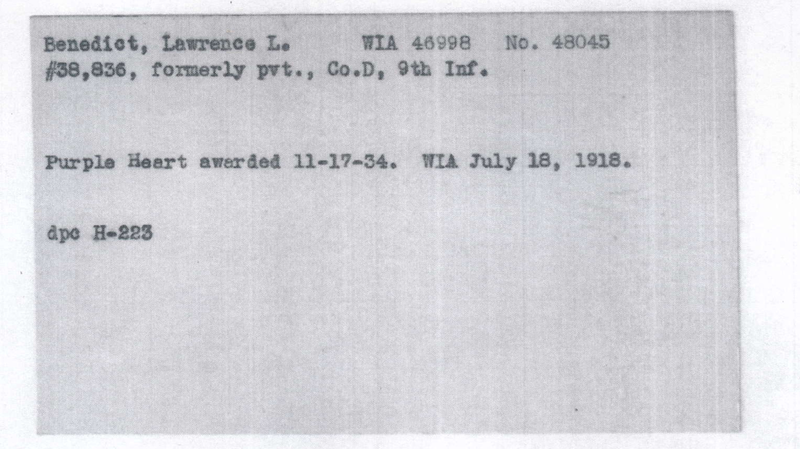 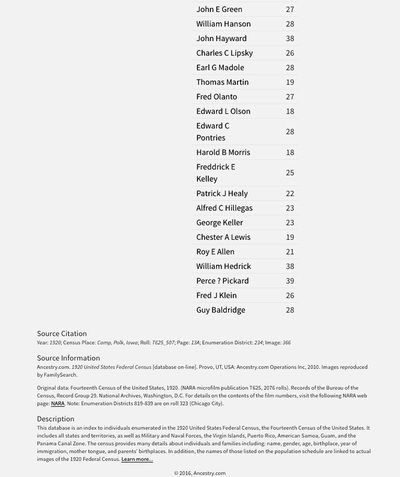 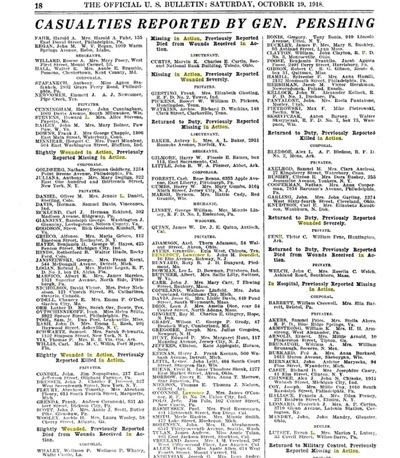 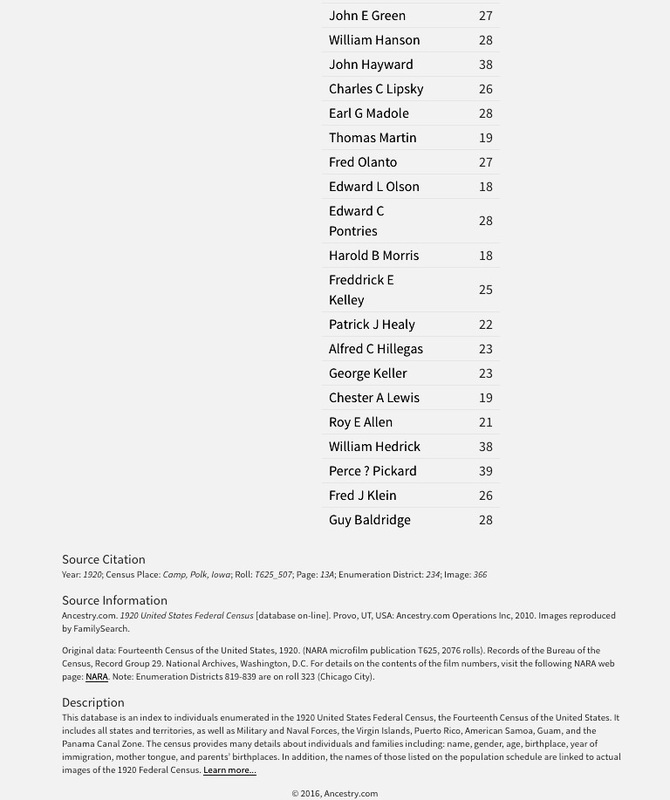 Casualty Report by General Pershing lists Lawrence as Missing in Action. 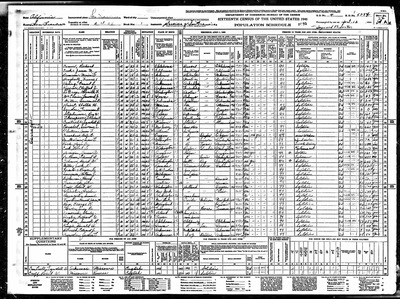 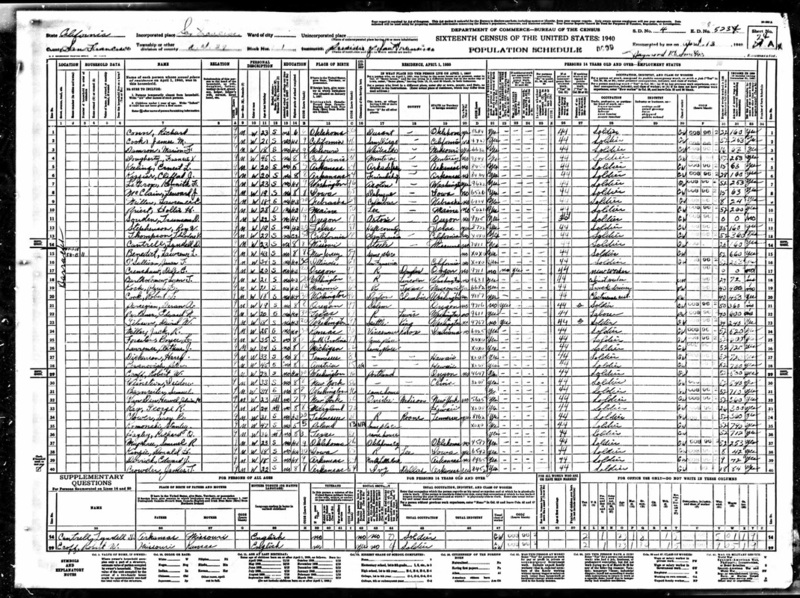 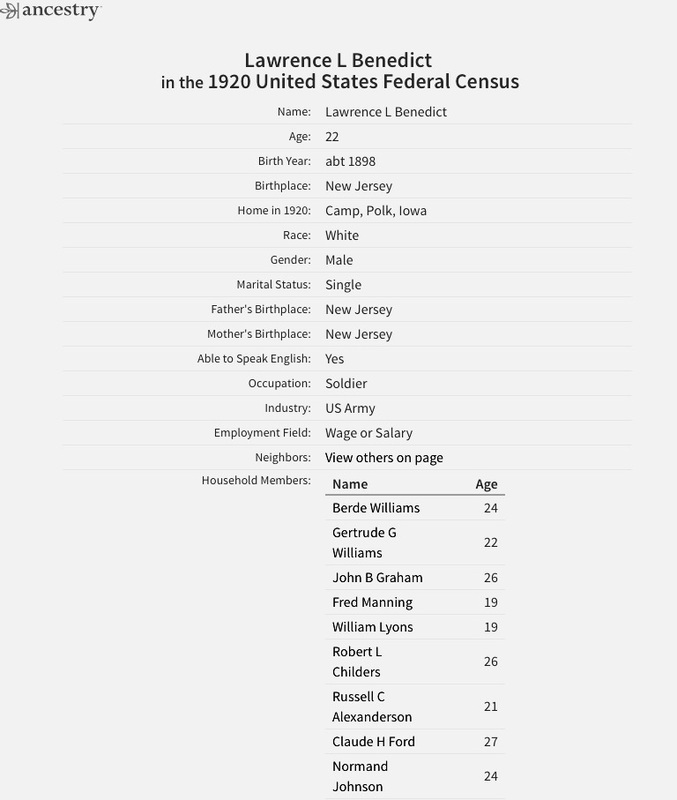 1920 Federal Census shows Benedict as a soldier at Camp Polk, Iowa. 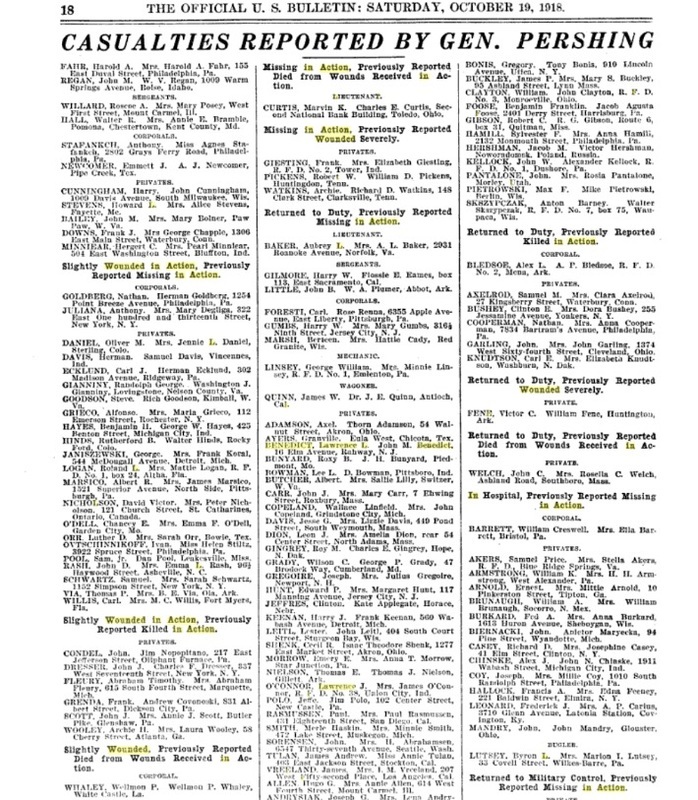 The 1930 Federal Census shows Benedict as a soldier at the 30th Infantry Barracks. 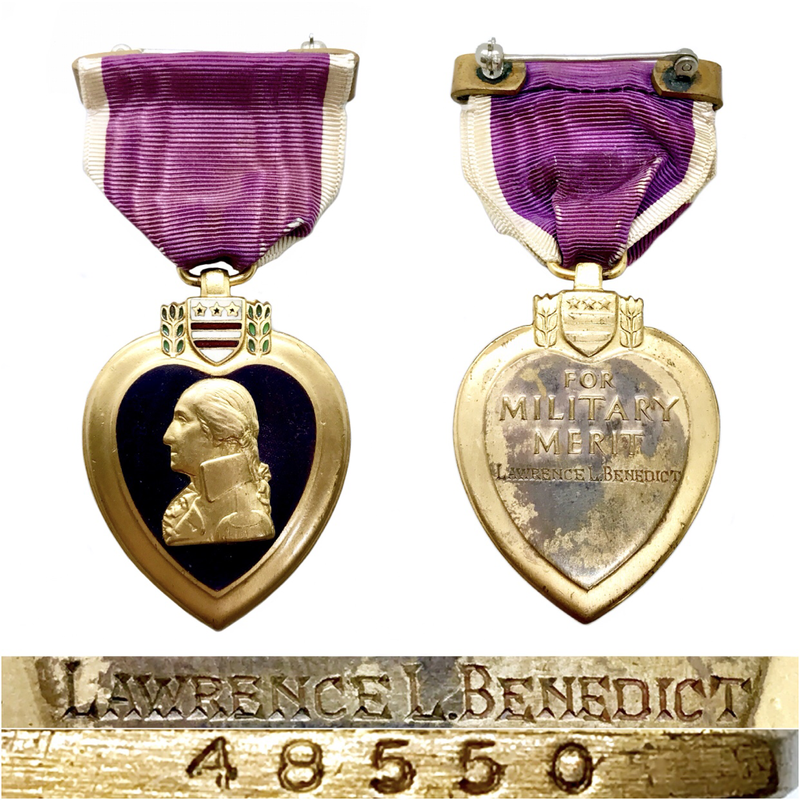 Sergeant Benedict was officially issued his Purple Heart Nov. 17, 1934. 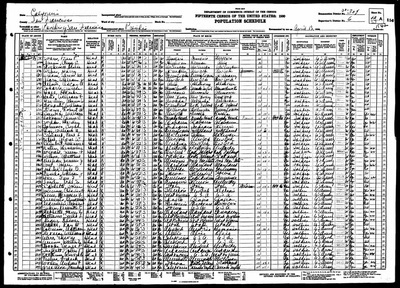 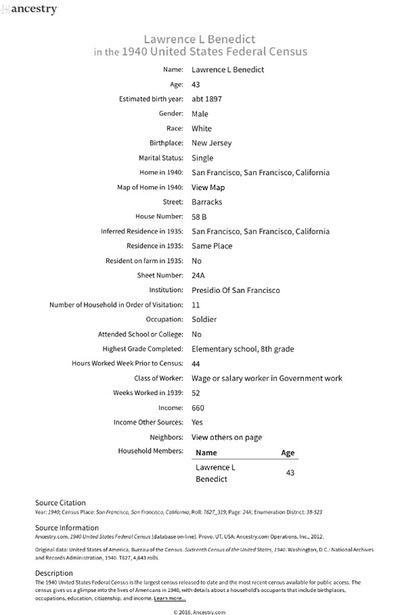 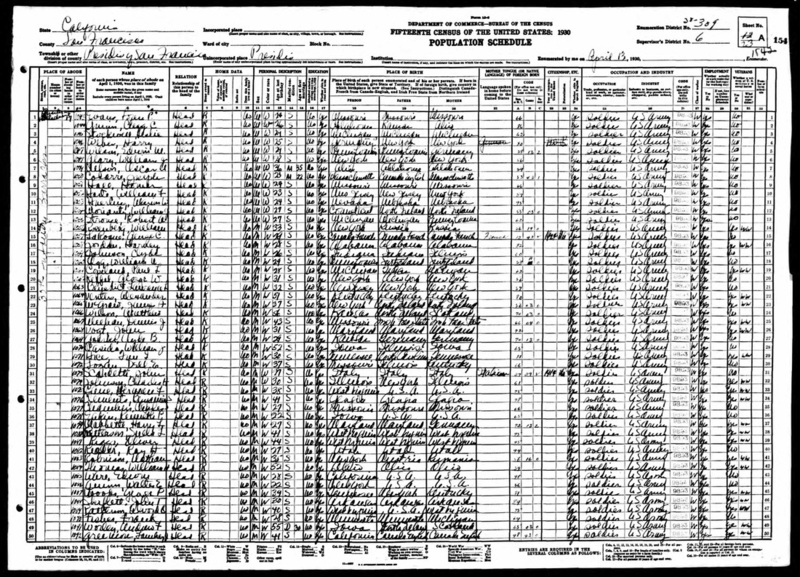 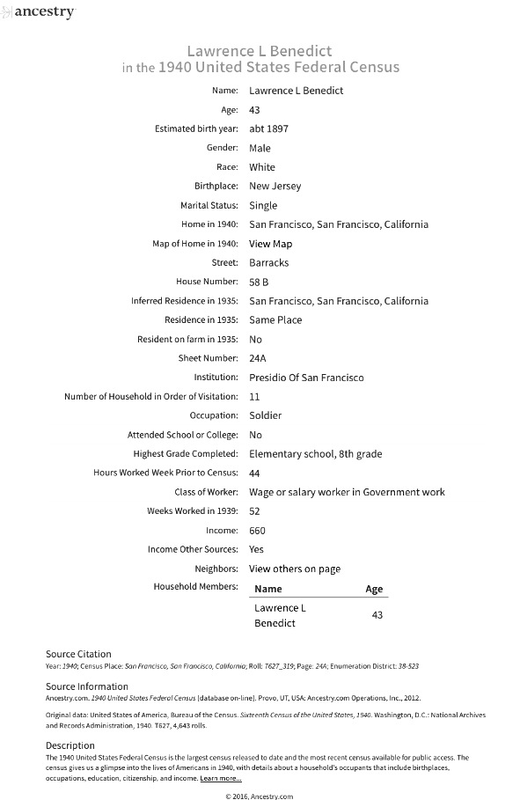 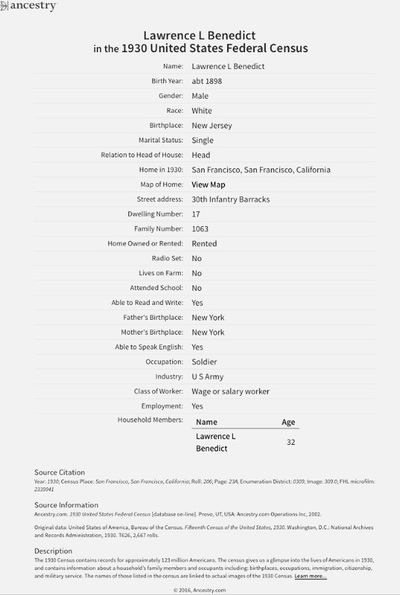 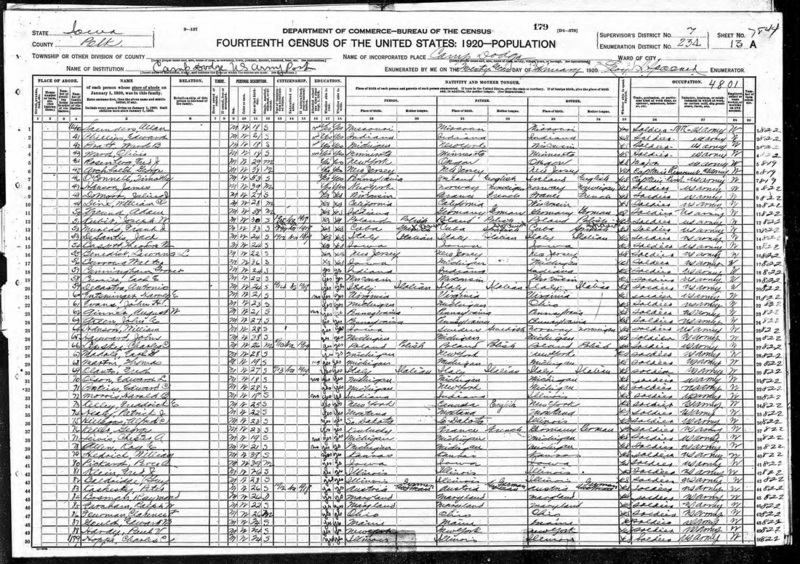 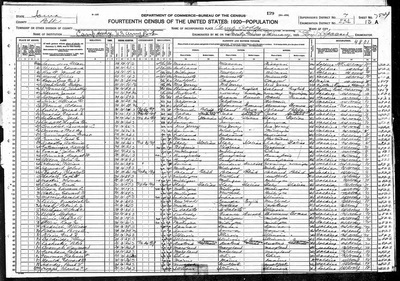 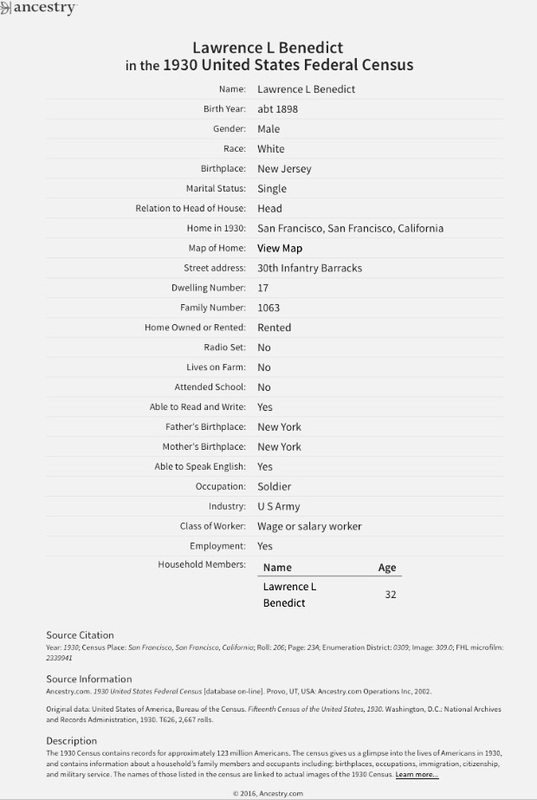 The 1940 Federal Census shows Benedict as a soldier at Fort Presidio of San Francisco.